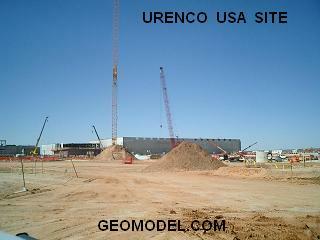 April 22, 2016 by GeoModel, Inc.
GeoModel, Inc. completed a nearly three-year utility location contract at the Urenco USA Uranium Enrichment Facility near Eunice, New Mexico. 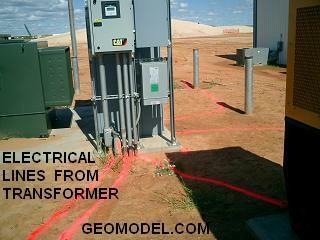 The GeoModel, Inc. contract was for marking utilities in the field and creating 400 as-built utility maps in AutoCAD format for the one square mile facility. These maps were used by the numerous on-site construction companies and facilities management for locating utilities prior to excavation activities. 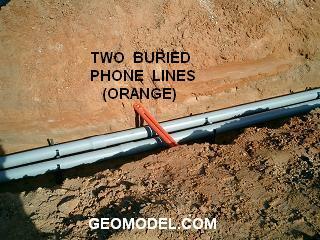 GeoModel, Inc. used ground penetrating radar (GPR), metal detection, and other locating instruments to map the underground utilities at the Urenco USA site. 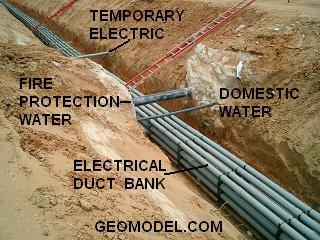 The GeoModel, Inc. maps were included in the hundreds of construction permits required for excavations at the site. The pictures below show the type of utilities detected at Urenco USA. 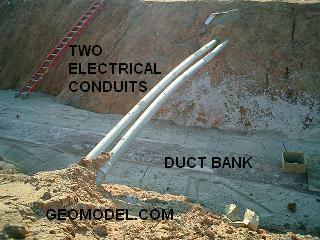 They included small PVC pipes, water lines, electrical conduits, fiber optic cables, phone lines, and electric duct banks. 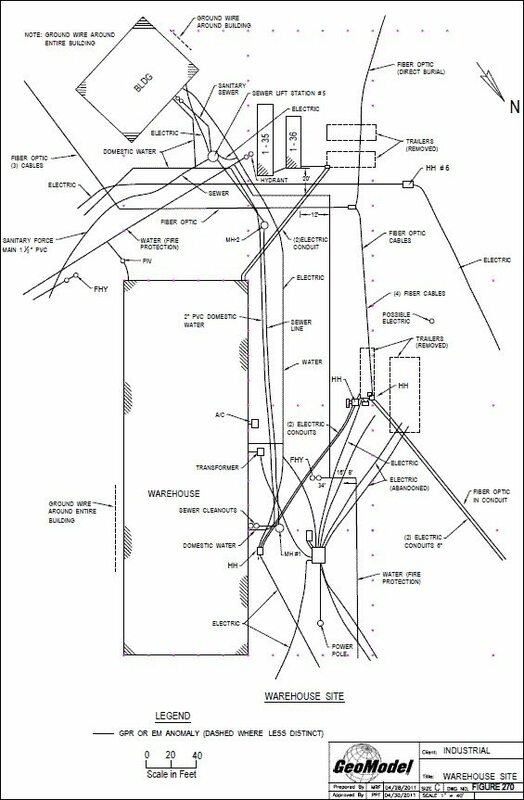 The site map below is just one of 400 AutoCAD as-built utility maps prepared by GeoModel, Inc. for the client. Attention to detail was important as these maps were included in the excavation permits used before digging or trenching on-site. For more information about GeoModel and the services they provide, visit http://geomodel.com, or contact them at http://geomodel.com/contact.